Guitar Center [guitarcenter.com] has Alesis Coda Pro 88-Key Digital Piano with Stand for $299.99. Notes: Shipping may be additional because of its size; may vary by location - $69.99. I was able to go through checkout and shipping showed $0. Guitar Center [guitarcenter.com] has Mackie CR3 - 3 in. 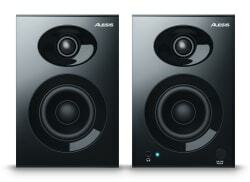 50 Watt Multimedia Monitors, Limited Edition Gold Trim, Pair for $69.99 w/ Free Shipping. Guitar Center [guitarcenter.com] has D'Angelico Premier Series SS Semi-Hollowbody Electric Guitar w/ Center Block & Stopbar Tailpiece in Black for $349.99 w/ Free Shipping. Guitar Center [guitarcenter.com] has Dean Markley Pro Mag SC-1 Acoustic Guitar Pickup for $26 w/ Free Shipping. Guitar Center [guitarcenter.com] has DR Pro DJ Laptop Stand and Shelf Bundle (DRDJLS1) for $19.99 w/ Free In-Store Pickup. Guitar Center [guitarcenter.com] has Musician's Gear MG100B Tripod Boom Microphone Stand (Black) for $9.99 w/ Free In-Store Pickup. Shipping is Free on orders of $25+. Guitar Center [guitarcenter.com] has 10-Pack of Musician's Gear Lo-Z Microphone Cable 20 Feet for $24.99 w/ Free In-Store Pickup. Shipping is Free on Orders of $25+ (ideas for cheap fillers listed below). As one of its daily deals, Guitar Center offers the Musician's Gear MV-1000 Handheld Dynamic Vocal Microphone for $14.99 with free shipping. That's the lowest price we could find by $20. 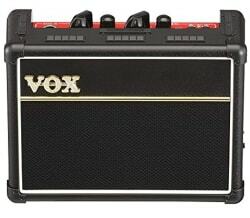 It features a cardioid polar pattern, 80Hz to 12kHz frequency response, and 500 ohms impedance. Deal ends today. As one of its daily deals, Guitar Center offers the Ultimate Acoustics 18-Piece Studio Bundle for $69 with free shipping. That's the lowest price we could find by $46. Each panel measures 12" x 12" x 2". Deal ends today. As one of its daily deals, Guitar Center offers the CAD VocalShield VS1 Foldable Stand-Mounted Acoustic Shield for $49.99 with free shipping. That's $10 under our mention from two weeks ago and is the lowest price we could find by $90. It reduces reflections and echos and features micro cell acoustic foam and a folding design. Deal ends today.